Akhil Akkineni starrer Mr.Majnu was initially planned for December release, but with Varun Tej’s Anthariksham and Sharwanand’s Padi Padi Leche Manasu scheduled for release in packed December, it was moved to January. However, Bala Krishna's much awaited NTR Biopic is releasing in 2 parts between 2 weeks gap in January. Finally, the makers of Mr Majnu have decided to release the film on Valentine's Day ( February 14th ) in 2019. Akhil plays a Casanova in Mr.Majnu that casts Nidhi Aggerwal as heroine. Venky Atluri of Tholiprema fame. directed the movie. The shooting has been completed and most portions are shot in colorful locales of London. SS Thaman is scoring music for Mr.Majnu, bankrolled by B.V.S.N. Prasad for Sri Venkateswara Cine Chitra LLP banner. 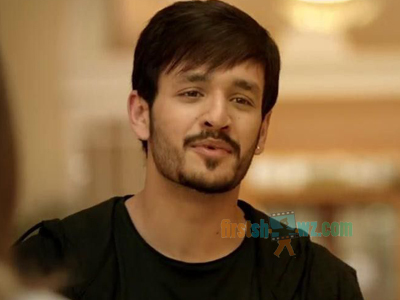 Mr Majnu teaser with Akhil delivering cheesy pickup lines is well-received by viewers.